Bahia Mar is a Doubletree by Hilton oceanfront property situated on Fort Lauderdale Beach. 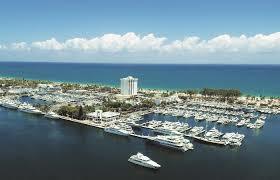 With a wide array of land and water activities for adults and children, as well as a world-class marina for yachting enthusiasts, the property is a landmark gateway to Fort Lauderdale Beach recreation. Completed renovation of this luxury waterfront destination resort spa and fitness facility to enhance guest experience.